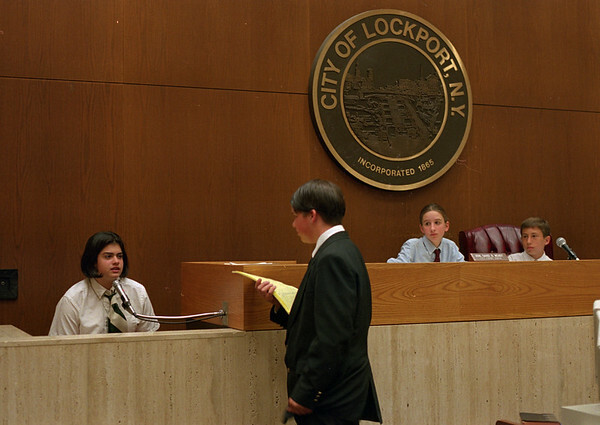 98/06/01 Mock Trial *Dennis Stierer Photo - The 7th grade class recently held a mock trial at Lockport City Court. On the witness stand is ____________________________ as defense attorney ___________________________ questions her. Presiding over the trial are judges __________________________________ and __________________________________.